Campus Five for 2 nights! Yes, that’s right! Campus Five will be at Beantown - for 2 nights!!! Sunday night Beantown Bounce (camp instructor show)! Beginner Lindy Hop Crash Course! Check the Beantown Camp site for more information and get on the mailing list to be notified when details are available. When we put on our very first Beantown Camp in 1997 we had a vision for what kind of week we hoped to create. Beantown has evolved over the years and along the way there have been many wonderful camps, but this year, our 14th, everything came together in the most incredible way to surpass our wildest dreams. We are still feeling overwhelmed with it all. It wasn’t just the outstanding classes and dance parties, but also the fun stuff that happened in between and the positive energy all around. There is so much that happened over the week and here are some of the special highlights. Beantown is less than 2 weeks away! There is still time to register and join dancers from 33 states and 7 countries! Leaders are needed for Tracks 1, 2 and 3 and followers for Track 5. If you are interested or know someone who might be, please get in touch with us ASAP! If you are an advanced level leader and would be interested in being a track filler for a significant tuition discount, please get in touch ASAP! In housing news, we have been able to open a few singles with AC. If you want one, please let us know ASAP! Beantown is a mere 2 weeks away now, and we couldn’t be more excited! As many of you may already know, the Beantown’s Got Talent variety show on Tuesday night is one of the not-to-be-missed highlights of the week–full of suspense, drama, but mostly comedy. So if you have a special talent to share, start planning your act! This will be a grueling competition to see who is the most “talented” Beantown camper, judged by our very own panel of expert critics: Peter Strom, Sylvia Sykes and Jen Coulombe. So don’t forget to pack that rainbow wig, juggling balls, batons, kazoo or whatever you’ll need to prove your ultimate stardom at Beantown 2010! Who wouldn’t want to spend a week with dancers from near and far, many of the world’s best instructors, 4 nights with 4 favorite bands, great DJs, a beautiful location on the shore and many fun activities included. If this sounds like the vacation that you want to do, register today! In past messages we’ve highlighted the classes, instructors, music and dance parties, but there is so much more! Beantown has a great social atmosphere, with most campers living and eating together on campus. The dining hall has been newly transformed with a wide variety of seating nooks, plus the food is excellent! The BBQ on Monday night is at the Misselwood Tent down by the beach, followed by volleyball, frisbee, walks on the shore, maybe some jamming, or just relaxing and enjoying the beautiful setting. Beantown Discount Date May 10! Read more about Beantown Discount Date May 10! Now is a great time to make plans to start off your summer at Beantown Camp! 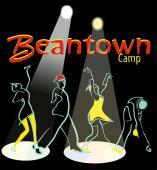 Beantown provides a full week of classes and fun activities and in this message we are highlighting the classes. Attending the whole shebang is highly recommend if you are able to do so. (In this case, MORE is more!!) Camp is an amazing experience for all levels to immerse yourself in dancing, camaraderie and fun! If you are not able to do the full week, there are multiple registration options to choose from so that everyone who would like can join in. Now is the perfect time to make your summer plans. How about a dance vacation - what could be more fun than that? Amazing instructors, Lindy Hop track classes as well as a wide range of other classes to choose from, great live music, fabulous entertainment, wonderful food, nice accommodations, beautiful setting, friendly, social environment and tons of fun. Come to Beantown Camp this summer. You will be glad you did! We are happy to announce a few more instructors have been added to our international line-up!